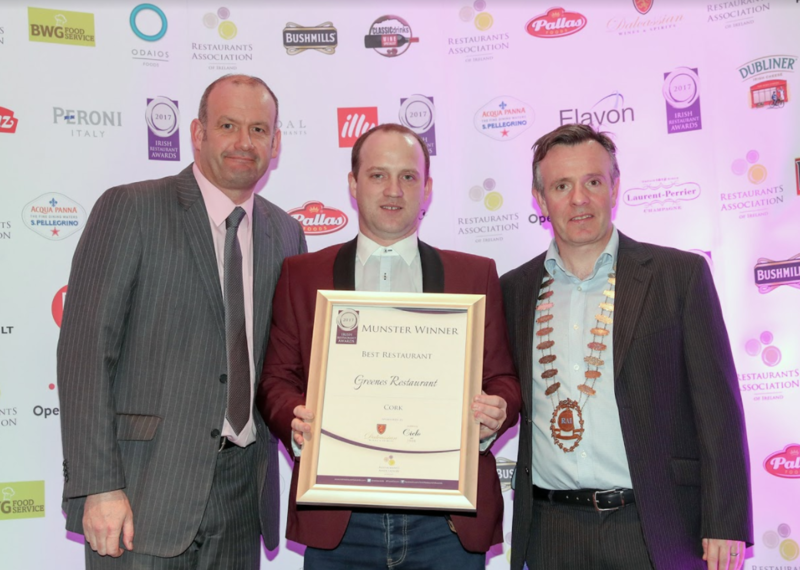 Multi-award-winning Greenes Restaurant has added another plaque to its collection after winning Best Restaurant in Cork at the Munster finals of the 2017 Irish Restaurant Awards held in Limerick Strand Hotel on the 21st of March. Bryan McCarthy was presented with the Best Restaurant in Cork award by Mark Redmond from Dalcassian Wines & Spirits, sponsor of the Best Restaurant category, and also President of the Restaurants Association of Ireland Liam Edwards. The RAI award is just the latest accolade for Greenes Restaurant. It is listed in the influential McKennas’ Guides 100 Best Restaurants 2017, published last month (February). In addition, it was awarded Best Restaurant in Munster at the prestigious Food & Wine Awards in 2016. 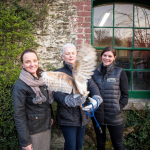 The dining experience at Greenes is based on absolute commitment to using only wild, foraged, local and organic produce wherever possible. The menus are constantly changing to reflect what is in season and what wild foods are available, with some only available for a few short weeks every year. Bryan and his team forage for wild ingredients as well as using an experienced wild food foragers from the land and sea. 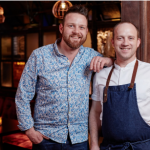 The Munster Regional Restaurant Awards are part of the overall Irish Restaurant Awards, dubbed the #irishfoodoscars, organised by the Restaurants Association of Ireland (RAI). Greenes Restaurant will go on to the All-Ireland Irish Restaurant Awards to be held on the 8th of May in the Clayton Hotel, Burlington Road, Dublin. See the website www.greenesrestaurant.com for more information. Bryan McCarthy, (centre), executive head chef, Greenes Restaurant, receiving the Best Restaurant in Cork award from Mark Redmond (left) from Dalcassian Wines & Spirits, sponsor of the Best Restaurant category, and President of the Restaurants Association of Ireland Liam Edwards (right) at the RAI’s Munster Regional Restaurant Awards 2017 held on the 21st of March in Limerick.